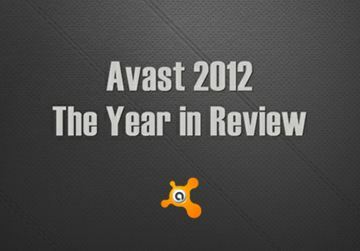 Another busy year is coming to a close at Avast Software. We launched game-changing products for Mac and Android which achieved astounding download numbers and won multiple accolades; we made technical strides in detecting dangerous malware to keep our users safer than ever; we grew our social media presence so that our Facebook fan page is in the top 4 of the software category; and we started a unique program providing business-grade security software to U.S. schools and libraries for free. avast! Antivirus is protecting more than 170 million devices - PCs, Macs, and Android phones and tablets - worldwide. avast! Mobile Security for Android reached 1 million installations the first week of January – only 10 days after its launch. In one month, avast! recorded 1.87 billion incidents of our users encountering malware. Avast reaches 150 million users worldwide. Three countries - the USA, Brazil and France - each have more than 10 million avast! users. avast! Mobile Security for Android reached 2.1 million installations at the beginning of February, and we gave away 10 Samsung Galaxy Nexus phones to celebrate the success. Our CEO makes changes to Avast free phone support service based on feedback from our users. Our premium product avast! 7 Internet Security with AutoSandbox and avast! SafeZone becomes available to home users. The beta of avast! Free Antivirus for Mac begins and protects users from the Flashback Trojan which infected 600,000 Macs. avast! Free Antivirus 7 receives the Advanced Plus certification by AV-Comparatives detecting 98% of the 300,000 malware tested, surpassing many paid antivirus. We celebrate the launch of avast! Free Antivirus for Mac with a Facebook photo contest, and welcome hundreds of thousands of new fans. avast! Free Antivirus for Mac is the most popular download on CNET's download.com after only 3 days. We treat Brazilian avast! user and family to seven days in paradise with an all-expenses paid trip by Avast. Avast welcomes its global business partners to Prague for annual meeting. avast! Free Antivirus beats competitors in AV-TEST, detecting 100% of malware and reaching the top of the list in performance. avast! File Server Security for Windows Servers earns the Virus Bulletin 100% (VB100) award. We welcome our 190 millionth registered avast! user and family to Prague. avast! Mobile Security 2.0 launched with new functions: Portal for remote control of Android devices (my.avast.com), consumption meter network, widget and SiteCorrect ™. avast! Antivirus is one of the few products to protect against Microsoft vulnerabilities. avast! Free Antivirus earns another VB100 award. avast! Mobile Security exceeds 10 million installations and maintains 4.7 out of 5 stars rating on Google Play. Facebook teams up with Avast to protect users from malware shared unknowingly by the social network’s users. The avast! Facebook page has 2 million fans. avast! Free Antivirus 7.0 is the only free antivirus solution to receive the ADVANCED+ Award Certification . avast! Mobile Security protects Android devices from USSD attacks that can block the SIM card and delete data. Avast announces the Free for EDU program which gives our centrally-managed business product free to U.S. schools and libraries. avast! Free Antivirus earns the coveted compatibility certification and the right to display the “Windows 8 Compatible” logo. avast! Internet Security provides 100% protection against banking malware. avast! Free Antivirus receives AV-TEST certification for 100% detection rates of malware. Avast teams up with Socialbakers to monitor and manage its growing presence on social media. Avast users predict results of U.S. presidential election. Avast has 170 million active users. avast! Mobile Security detects 100% of mobile malware while Android 4.2 is found to detect only 15.3% of malware. Facebook ‘Member Gets Member’ game begins and gains hundreds of thousands of new fans. The Avast Research Lab develops new malware-detecting technologies.